Search Engine Optimisation, commonly known by the marketing jargon acronym, SEO refers to the processes used by webmasters, developers, designers and marketers to improve the ranking of a website when returned on Google’s Search Engine Results Page (SERP). In order to serve the most relevant websites to individuals who use the Google search engine, Google developed a complex algorithm which indexes web pages on the internet and reports on the value of each page. Google’s priority in indexing sites and pages is to provide its users with the most relevant, credible and authoritative sites. If you think of Google as a business (which it is), its role is to ensure that its clients (users) are having the best experience possible when using their product. Therefore, Google want to make sure that they deliver the right site, to the right person, at the right time – every time. Now, that may sound like a really difficult thing to do…and it is. How does the Google Algorithm affect SEO? It’s all in the name. Search Engine Optimisation is the process of optimising a site for the search engine. For us, on the non-Google side of things, we’re aiming to show Google that your site (or our site) is the best for our industry, service offering, information or whatever the purpose of your site is. The aim for us is to make sure that your highly-credible and authoritative page is shown first to users. When we make changes to your site to affect your SEO we’re trying to make sure that the best sites are being returned to the user as close to the top of the SERP as possible, to make the user’s workload as minimal as possible. How do you know what to optimise? While we may not have access to the script of the Google Algorithm (it’s unlikely we’d be able to understand it even if we did), Google is kind enough to let us know how it works and what it preferences. There are particular aspects of a website that communicate particular things about the function and content of a website. We also know how the Google Algorithm reads websites and pages and that helps us to manipulate the code to put the most relevant information in the right spots for Google to see. Essentially SEO, when implemented, provides Google with a guide to understanding how to read a website. It tells the spiders which crawl your website how the site functions, its purpose, and its content plus any other relevant information. As powerful as SEO sounds, no one can promise that you will return as the number one result for any keyword or keyword combination . Not even Google. Google’s algorithm takes into account contextual and situational data regarding user behaviour, like location, time of day, previous history and more. So, it is impossible for search engine results to be predicted. There are many ways to approach SEO, some better than others, but there are no guaranteed results. SEO is a long-term investment. It takes time, dedication and patience. The best way to describe SEO is that it’s like building a reputation for your website. 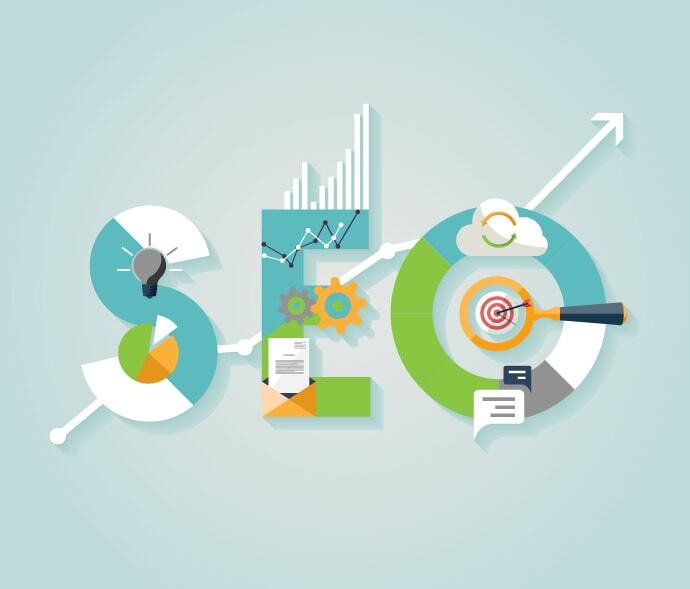 Through best practice SEO you can prove to Google that you’re worthy of being shown to their users, that you have a reputation as being authoritative and credible and that your site will provide their users with the answers to their search queries. Just to be painful, the easiest way to describe this is to ask the question, ‘how long is a piece of string?’. SEO is an area of marketing that is constantly changing and there are new practices to implement regularly.